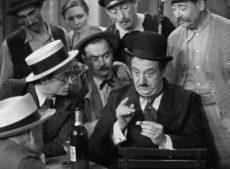 The warmth and wit of celebrated playwright turned auteur Marcel Pagnol (The Marseille Trilogy) shines through in the enchanting slice-of-life comedy The Baker’s Wife (1938). Returning once again to the Provençal countryside he knew intimately, Pagnol draws a vivid portrait of a close-knit village where the marital woes of a sweetly deluded baker (the inimitable Raimu, heralded by no less than Orson Welles as “the greatest actor who ever lived”) snowball into a scandal that engulfs the entire town. Marrying the director’s abiding concern for the experiences of ordinary people with an understated but superbly judged visual style, The Baker’s Wife is at once wonderfully droll and piercingly perceptive in its nuanced treatment of the complexities of human relationships. —The story is taken from the novel Blue Boy (Jean le bleu) by Jean Giono. It was Marcel Pagnol’s fourth and final Giono adaptation, after Jofroi (1934), Angèle (1934), and Harvest (1937). —Pagnol wrote the part of Aurélie for Joan Crawford, using minimal dialogue since she didn’t speak French. After she declined, Raimu convinced Pagnol to cast Ginette Leclerc, who would go on to star in such films as Le Corbeau (1943) and Tropic of Cancer (1970). —Raimu refused to play his dialogue scenes outdoors. Therefore, much of the film was shot in a studio, giving many scenes a look that’s a combination of location and studio photography. —The film’s exteriors were shot in the medieval village of Le Castellet, roughly thirty miles southeast of Marseille. Today, the area is famous for its wine production and Formula 1 racetrack. 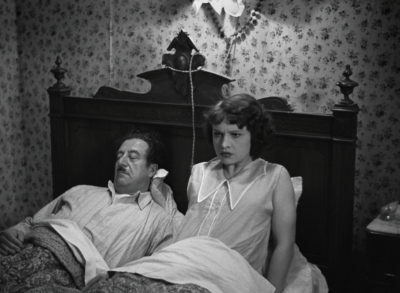 —The film was a major critical and box office hit in France when it was released in 1938. 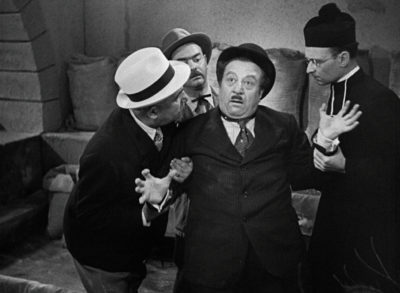 In 1940, the film also had a successful run in the U.S., where it won best foreign film honors from both the National Board of Review and the New York Film Critics Circle. —In the mid-forties, after the war, Orson Welles visited Pagnol and told him that he had seen The Baker’s Wife and would like to meet its star, Raimu, whose acting Welles revered. Pagnol informed Welles that Raimu had recently passed away, and Welles burst into tears. —Pagnol adapted his script for The Baker’s Wife into a theatrical production but only staged one performance. In 1976, a musical adaptation of the same name, with music and lyrics by Stephen Schwartz and a book by Joseph Stein, embarked on a six-month tour of small venues in the U.S., undergoing major retooling along the way. The musical finally premiered in the West End in 1989. Although the reviews and audience reaction were positive, the show lasted here for only fifty-six performances. It has not been produced on Broadway. —In The Catcher in the Rye, Holden Caulfield, despite his own distaste for movies, mentions that his younger sister, Phoebe, likes them and knows the difference between good and bad films. He says that he took her to see The Baker’s Wife and she found it hysterical. We will screen The Baker’s Wife daily at the Ahrya Fine Arts April 26-May 2 and April 29 at the Laemmle Glendale, April 30 at the Playhouse 7, May 1 at the Town Center and Claremont, and May 2 at the Royal. Laemmle Theatres proudly presents LAEMMLE LIVE PASADENA, inspired by Laemmle’s popular concert series in Santa Monica. Laemmle Live showcases emerging musicians and professional performers from local schools and organizations, celebrating our diverse community with live performance. Laemmle Live Pasadena’s free Sunday morning concerts take place in the courtyard between Laemmle’s Playhouse 7 and Vroman’s Bookstore from 11am to 12pm. A light reception will follow the concert. This Sunday morning concert features the Caesura Youth Orchestra. Based in Glendale, California, the program provides music education, group lessons and free instruments to under-served elementary students. After completing an initial basic music course, the students are able to choose from the following instruments: violin, viola, cello, flute, clarinet and trumpet. The Caesura Youth Orchestra follows the El Sistema model for providing music to under-served students. The program is now in it’s fifth year as an after-school program. Elementary students begin the program with a basic music education class, learn to play the recorder and the importance of caring for an instrument. Students may then select an instrument. Each of the ensembles meets for 1 1/2 to 2 hours three times each week. Students perform regularly at events in the Glendale area. Class room teachers at the end of each year evaluate the effect the program has on students in their class rooms. They indicate that these students have become team players, student leaders and display increased academic skills. Swing, samba or shimmy on over to Art in the Arthouse’s newest exhibit in Pasadena, DANCING WITH COLORS. This bold festival of color from artists Nancy R. Wise and Raymond Logan runs till June, 2019. Sales benefit the Laemmle Foundation and its support of humanitarian and environmental causes in the Los Angeles region. RAYMOND LOGAN: Don’t call Raymond Logan a “realistic artist.” While his work depicts real-life subject matter, it is grounded in abstraction and intuition. His true goal is to create a dialogue with you, the viewer, where a mutual discovery and re-imagining of “the self” can take place. Logan uses deft strokes of thick paint in surprising colors extrapolated from what he sees in the object – enhanced by how he wants those colors expressed. 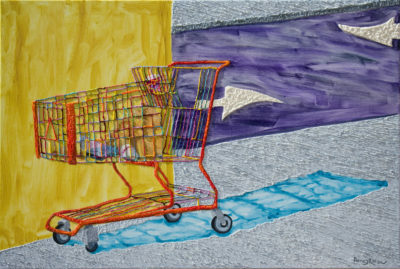 Get close up and you’ll find that his representational art becomes fully abstract. 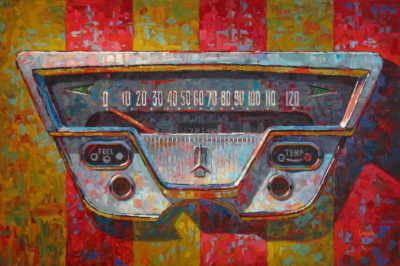 Logan and Wise are connected through their mutual love of color and the ways they apply that color to their artwork. Logan spares nothing as he lavishly slaps thick globs of paint onto the canvas, while Wise contrasts impasto with thinner areas to create dynamic separation. From the first moment I saw their vibrant artwork, I knew their pieces would dance well together. Laemmle Theatres proudly presents the launch of LAEMMLE LIVE PASADENA, inspired by Laemmle’s popular concert series in Santa Monica. Laemmle Live showcases emerging musicians and professional performers from local schools and organizations, celebrating our diverse community with live performance. Laemmle Live Pasadena’s free Sunday morning concerts will take place in the courtyard between Laemmle’s Playhouse 7 and Vroman’s Bookstore from 11am to 12pm. A light reception will follow the program. 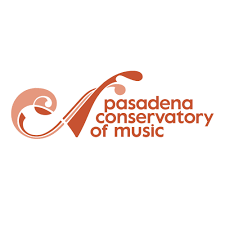 The inaugural concert will feature musicians from the Pasadena Conservatory of Music. 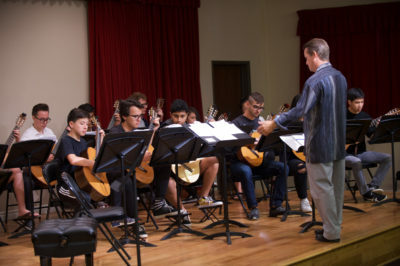 The Pasadena Conservatory of Music provides opportunities for students of all ages and backgrounds to study, perform, and enjoy music. The March 24 program will feature the Los Angeles Youth Guitar Orchestra (LAYGO) from the Conservatory. LAYGO is a dynamic group composed of fifteen of PCM’s top guitar students, ages 12-17. The ensemble is led by faculty member Felix Bullock, coaches Brian Barany and Adam Pettit, who are proud to give the emerging musicians the opportunity to practice and perform around the world. LAYGO has performed at SOKA University, the Pasadena Presbyterian Church, and Loyola Marymount University, and have collaborated with guitarists Scott Tennant, Andrew York, and pipa virtuoso, Wu Man. LAYGO has also embarked on several tours with the German group Guitarreando in a musical and cultural exchange. While on tour, they have performed in Switzerland, Prague, Germany, San Francisco, and Los Angeles. Additionally, they have premiered new works for guitar orchestra including Concerto in E minor by Alexander Mansour, Bleu by Alfonso Montes, and Tribal Youngers by Andrew York. The program will include Huapango by Moncayo, Kyrie from Requiem by W.A. 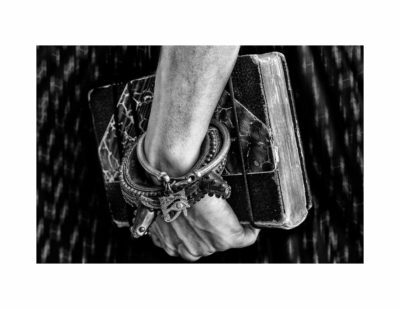 Mozart, Heart & Passion by Patrick Roux, Tantra by Carlos Rafael Rivera. 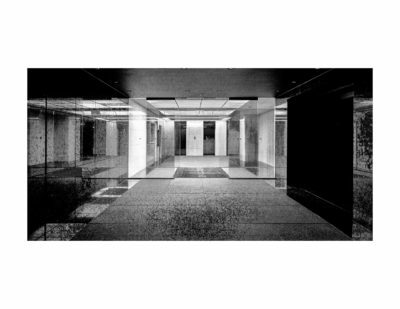 Come on over to Claremont for Laemmle’s Art in the Arthouse’s newest show featuring the exquisite photography of Ronald Dunlap. The show will run at the Claremont 5 till June, 2019. Sales benefit the Laemmle Foundation and its support of humanitarian and environmental causes in Los Angeles. 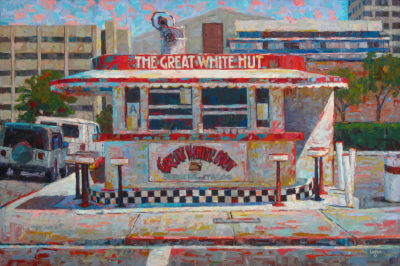 Dunlap has studied at Laguna College of Art and Design, Chouinard Art Institute and received his BFA in Fine Art from the California Institute of the Arts. 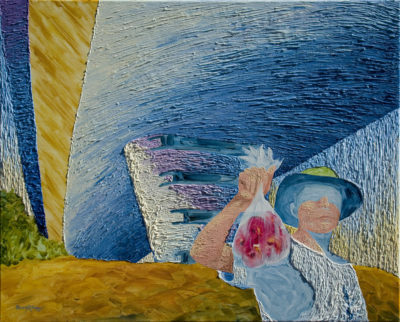 His MFA Fine Art degree is from Otis College of Art and Design.The artist has previously shown his work at both Laemmle’s Pasadena and Claremont community art shows. 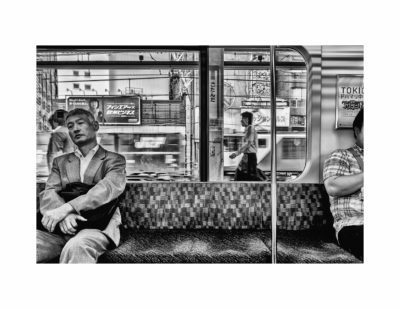 Dunlap lives and works at his home in Altadena, and continues to focus on honing his craft and speaking to his audience directly through his arresting images. 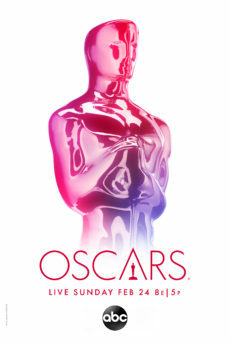 January 31, 2019 by Benjamin G.
With the 91st Academy Awards right around the corner, it’s time for our annual Predict the Oscars Contest! The person who most accurately predicts the Academy of Motion Picture Arts and Science’s choices in all 24 categories, from the shorts to Best Picture, will win fabulous prizes (free movies and concessions at Laemmle)! First place wins a Laemmle Premiere Card worth $150. Second place wins a Laemmle Premiere Card worth $100. Third place wins a Laemmle Premiere Card worth $50. Entries are due by 10AM the morning of the awards ceremony on February 24th. Not sure what a Laemmle Premiere Card is? Think of it like a prepaid gift card for yourself! Use it to pay for movie tickets and concessions. Plus, Premiere Card holders receive $3 off movie tickets and 20% off concessions. To find out more, visit www.laemmle.com/premiere-cards. We’ve got some smart cookies for customers so we have a tie-breaker question: you also have to guess the show’s running time. Take the tie-breaker seriously! In 2016, the running time question broke a tie between five entrants who correctly predicted 19 out of 24 categories! We’ll announce the winners right here on our blog by February 26th. Good luck! *One entry per person. One winner per household.